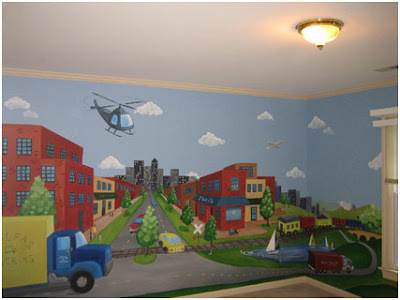 Debbie Cerone is a mural painter out of Elmhurst, Illinois and services Chicago and all suburbs. She started her own decorative painting business back in 1997. We asked Debbie how she got started painting murals and she said that he daughter had asked her to paint a mural in her the son’s room (Debbie’s grandson) then 1 yr old. 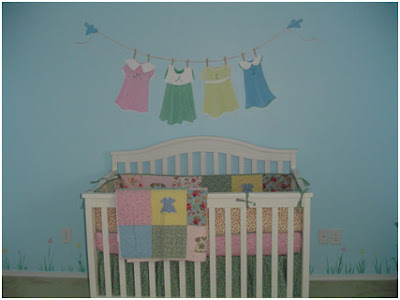 And that was her FIRST mural and now she has created a wonderful business for herself. But she is far from a novice mural painter. 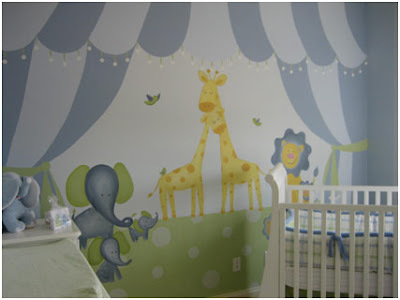 Check out some of her nursery mural painting work! I have to agree with her! Isn’t it absolutely gorgeous? 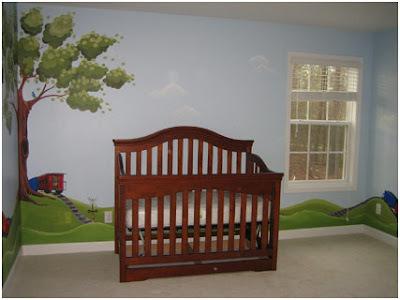 So, if you are in the Chicago area and need a custom mural painted in your baby’s nursery, please contact Debbie directly through her website at www.ceronedesigns.com – you will not be disappointed!